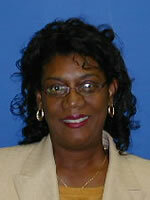 Connie McKnight is a graduate from Louisiana State University Health School of Nursing, New Orleans Louisiana. She received her BSN from the University of South Alabama, School of Nursing, Mobile Alabama. In addition, she is a graduate of Touro Infirmary Hospital diploma Nursing School. Currently, she is a Clinical Instructor at Louisiana State University Health Nursing School of Nursing, New Orleans Louisiana. In addition, coordinator for 7 undergraduate courses. She has taught in health assessment, and advanced concepts in professional nursing practice, to RN-BSN students. She is a member of Sigma Theta Tau International Nursing Honor Society, member of the oncology nursing society and an oncology certified nurse. She receive the Daisy Award in 2012, Great 100 Nurses in 2010, Pfizer Award for Excellence in Research, Education and Patient Care, LSUHSC-1997 Nomination to American Cancer Society, dedication and service to patients with cancer, 1996. During her career, she has worked with national research organizations, grants, publications, presentation, committees, and is a clinical research associate. In her nursing career, she has had the opportunities to practice nursing in ICU, SICU medical-surgical, and oncology. In addition, she has been a preceptor for Nurse Educator students. Connie is doctoral student attending Louisiana State University Health Nursing School of Nursing, New Orleans Louisiana.